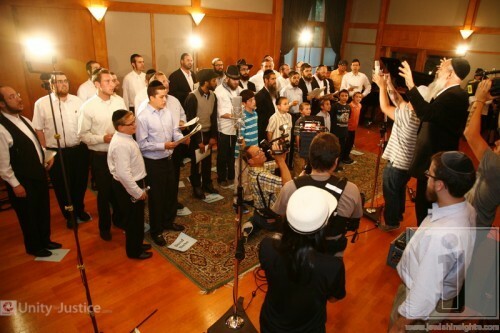 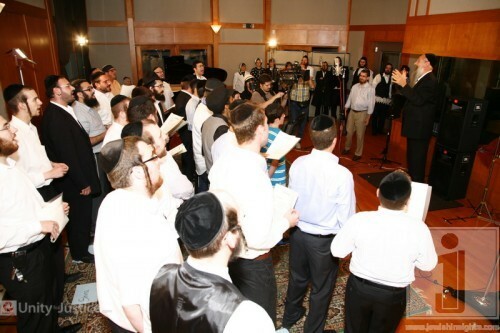 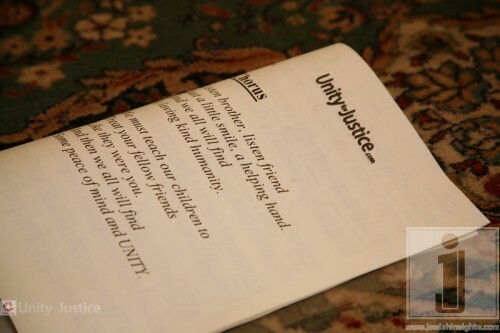 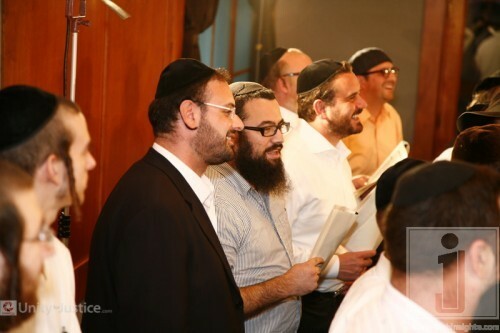 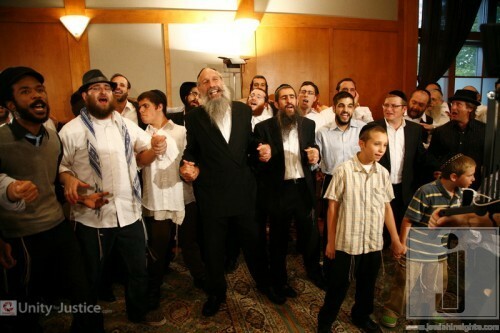 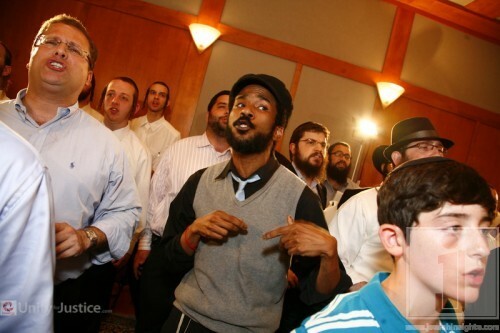 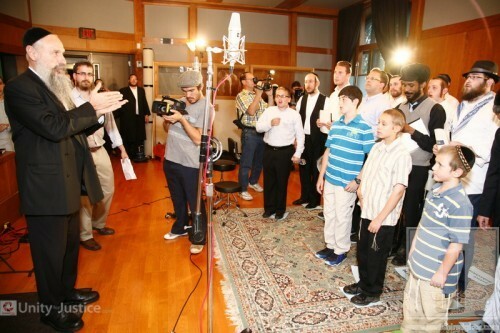 This evening, dozens of artists have gathered at Bennett Studios in Engelwood, NJ for the concluding chorus of the special Unity song that has united over 35 Jewish artists from all over the world, in order to raise awareness and bring justice to R’ Sholom Mordechai Rubashkin. 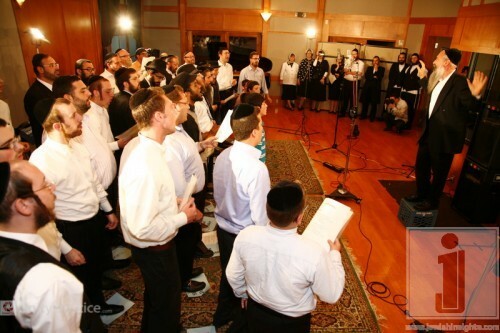 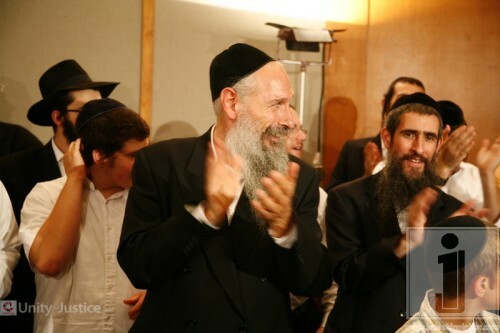 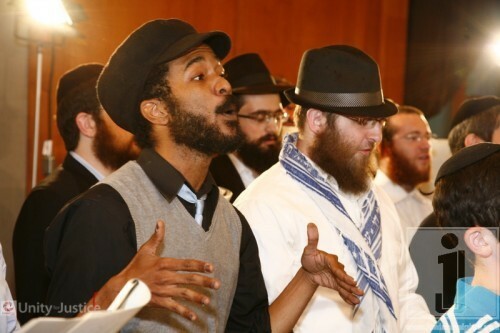 MBD, Yeedle, Yossi Goldstein, M. Shnitzler, Baruch Levine, Yehudah Green, Benny Friedman, Y-Love, DEscribe, Shloime and Dovid Dachs, Shira Choir, Sparks Choir, A. Klien, M. Werzberger, Shua Kessin, Beri Weber, C. Lanzbom, Yoni Zigelbaum, M. Kravitzky, Yanky Lemmer, Avi Begun, Rivi Schwebel, and others have conributed their voices for this song. 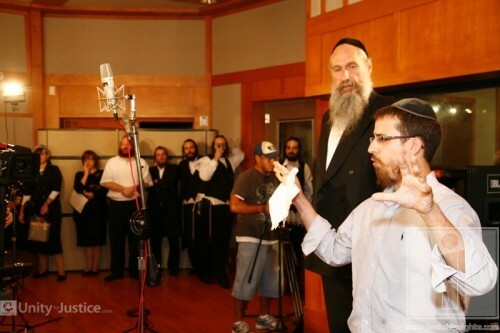 Also present at the studio were Mrs. Leah Rubashkin and her family, the Rubashkin Rescue team led by Rabbi Solomon Meisels, the sponsors from Teltech Systems – Eli Finkelman and Meir Cohen, and the producer of the Unity project Danny Finkelman.